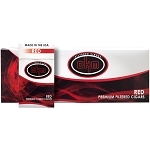 OHM cigars are certainly worth a try for those who enjoy this type of tobacco products. The company offers many different styles of boxes to fit their numerous flavors. When you wrap your lips around the end of that cigar and fire it up, you'll be taken to a world of smoky bliss. The way the smoke carries in the room after you blow it out of your mouth is pure art at its finest. The heavy, thick smoke lingers enough that you can smell it hours later even after the cigar is gone. If that sounds like an appealing idea to you, then OHM cigars should be on your bucket list. 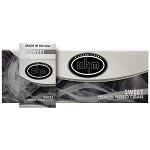 OHM cigars can be purchased in a variety of flavors. The red packs and cartons contain the full flavor variety. These give the most authentic taste since they are the original taste the company intended for you to try. The blue cartons have a lighter blend that could be more pleasing to those who prefer a taste that is less full. Green menthol packs offer a sweet, minty taste that makes the mouth feel cooler. There's also a peach flavor that many cigar smokers like. The list of flavors of OHM cigars ends with vanilla, strawberry, grape, and cherry. If you're looking for a new cigar to help broaden your horizons, the OHM cigars may be right for you. They boast incredibly deep flavors that will make your day a little brighter. The daily stresses that constantly nag you will melt away once you take a few drags on these premium cigars. Other people around you will smell the burning sensations and ask about the cigars causing the smells to emit into their nasal passages. This fragrant aroma smells appealing to any nose, and the smell is almost soothing to some people. The time has come to jump into a new brand of cigars. You may not be aware of what you're missing if you've never had the pleasure of lighting up a cigar made by OHM. Their colorfully designed boxes and cartons are also visually appealing. You get to relax and paint an image of yourself as someone with great taste when you choose these cigars. You may never switch to another type of cigar after you've experienced the professional quality of well-made OHM cigars. They are simply unmatched in the industry for their price range and widespread availability.